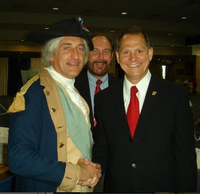 General Washington Revolutionaries in Alabama...Polishing up to give the boot to federal judges? Chief Justice Roy Moore was the primary "Special Speaker". Moore was elected by the power of the people, and wrongly removed by judicial fiat, that is to say by "bad behavior" that should rightly have resulted in a federal judge being subject to a Bill of Impeachment by an elected servant of the people, a Congressman. Over six years since these two leaders of America met in his county judge's courtroom and chambers to see his hand carved Ten Commandments in the county courtroom, before he was elected by the people to serve them, not the high muckety-mucks, and together to Pray for America, before Judge Moore apologized for having to leave to attend his son's baseball game. The "father of His country" full well understands the joys and duties of being a "Super Dad". 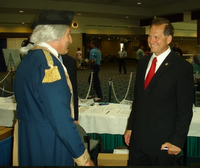 Chris Christian, of Auburn, Alabama, President of CHEF, adds a smile between the smiles of Roy Moore shaking hands with "General George Washington". Since the founding of our American Republic there have been 17 successful Impeachments, 2 successful Presidential Impeachments against Andrew Johnson and William Clinton. Neither Impeached President was convicted in the Senate Trial. "Why Bother? Impeachment never works!". Impeachment by the House of Representatives is like an Indictment by a Grand Jury. Many "ordinary citizens" are Indicted, but then not Convicted; indeed some are not even Prosecuted after the Indictment. Some United States Congressman, especially one from Alabama, should have done this DUTY under this Constitution for the United States of America by filing a Bill of Impeachment against U.S. District Judge Myron Thompson for "Bad Behavior". 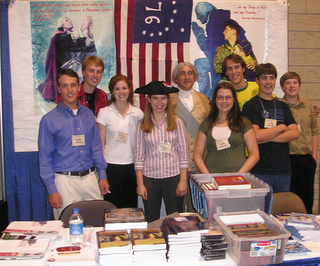 the modern improvements in the practice of government." whose erroneous biases are leading to dissolution. but it saves the Republic..."
or their silence be construed into a surrender of that power to them? The same could be said, or should be, about the failure of the Representative to exercise the power of Impeachment to maintain the balance of powers between the respective branches of government. Most lawyers will squeal "Separation of Powers" as a way to ensure 'supremacy' of the Judiciary branch from which they derive their income and their power over other citizen's lives. The bad behavior of federal judges is stamping political misery on the current Age in America, and on ages yet unborn, and due to the less than supreme Court of the United States, American's who will never be born because the "High Court" has given permission for mothers with doctors to kill unborn Americans in the womb. This Constitution does not say the crime of Bad Behavior against We the People has been committed, it merely says there is sufficient merit to the allegations that a trial should be heard, so for a Public Servant the Impeachment sets the Trial in motion, the same as an Indictment does for the average American. And in an Impeachment, according to this Constitution, the trial is held in the United States Senate, which serves at the Jury of Peers, other Public Servants, for the Public Servant Judge whose Bad Behavior, including his Biases against Faith matters, invited, no rightly REQUIRED, the Impeachment, that is if the requirement to do one's duty as stipulated in this Constitution is still operative in the U.S. Congress. Eleven of the 17 impeachments have been against federal judges. Seven of the 11, or 63 per cent have been successful in conviction and removing the judge for his bad behavior. Another judge resigned rather than face a trial in the Senate, or 72 per cent success rate in Federal Judge Impeachments. More are needed! Maybe even "way more"! 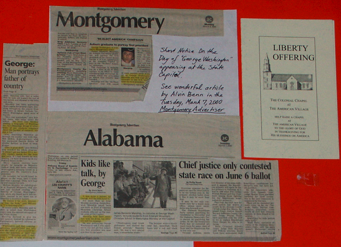 NOTE 1: Chief Justice Moore was NOT impeached, or convicted. 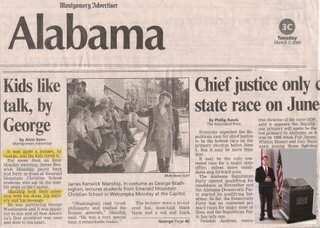 Contrary to law, his rights, and the rights of the people who elected him were violated by non-accountable government operatives, including federal judges who exhibited bad behavior against the people who freely elected Roy Moore as their Chief Justice. It was a travesty. 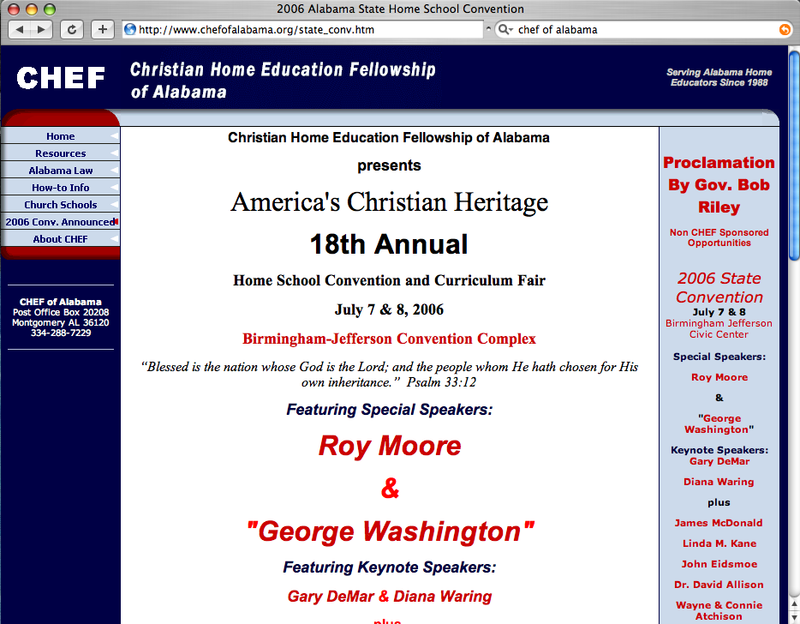 It is a tragedy, a tragedy for the State of Alabama, and for the United States of America. It was a blatant exercise of Political Correctness, that is Political Corruptness, run amok, a power grab by federal judges, the definition of bad behavior. Yet so many of We The People have been "brain-washed" believe that if a bad behaving judge says a law is un-Constitutional then without thinking or questioning, too many act like lemmings and accept his flawed decision. Thomas Jefferson warned against such thinking. NOTE 2: A Chief Justice of the New York supreme Court was Impeached by a 22 year old principled, freshman legislator named Theodore Roosevelt, in anno domini 1880. That established Roosevelt as the principal leader of the Republican Party in New York. Nine years before as a 13 year old boy, "Teddy" saw the Presbyterian Pastor Charles Parkhurst rally first the Press, and then the People to vote in new legislative and executive branch servants in the city government, who then Impeached many corrupt city judges, who were convicted, and properly, many of the corrupt judges were also jailed. Equal Justice for All!! Contrary to what is taught in taxpayer funded government schools, federal judges are NOT, repeat NOT, appointed for LIFE. This Constitution for the United States of America Article III, Section 1, sentence 2 reads: "The Judges, both of the supreme and and inferior Courts, shall hold their Offices during good Behaviour, ..."
The action of the federal judge against Roy Moore, both when he served the people as a county judge, and after he was elected Chief Justice of the supreme Court of Alabama was "Bad Behavior" that properly warranted a "Bill of Impeachment" to be filed against the federal judge, that the House would determine if the errant (bad behavior) federal judge's behavior was bad enough for an impeachment trial. Constitution, Article I, Section 2, last sentence: "The House of Representatives shall chuse their Speaker and other Officers; and shall have the sole Power of Impeachment." "The Senate shall have the sole Power to try all Impeachments. When sitting for that Purpose, they shall be on Oath or Affirmation. 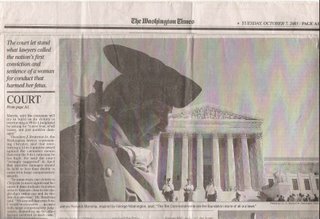 When the President of the United States is tried, the Chief Justice shall preside: And now Person shall be convicted without the Concurrence of two thirds of the Members present." The most recent federal successful impeachment and conviction was of Nixon. That is to say, Judge Walter Nixon, in anno domini 1989. Two other judges were convicted in that time frame at the end of the Reagan second term, another great legacy of his Presidency. One was Alcee Hastings who ran for and was elected to Congress, and the liberal House member Andy Jacobs of Indiana recently bragged on C-SPAN about how he was proud of seating Hastings after the election, despite that seating Alcee Hastings was a violation of this clause of this Constitution. 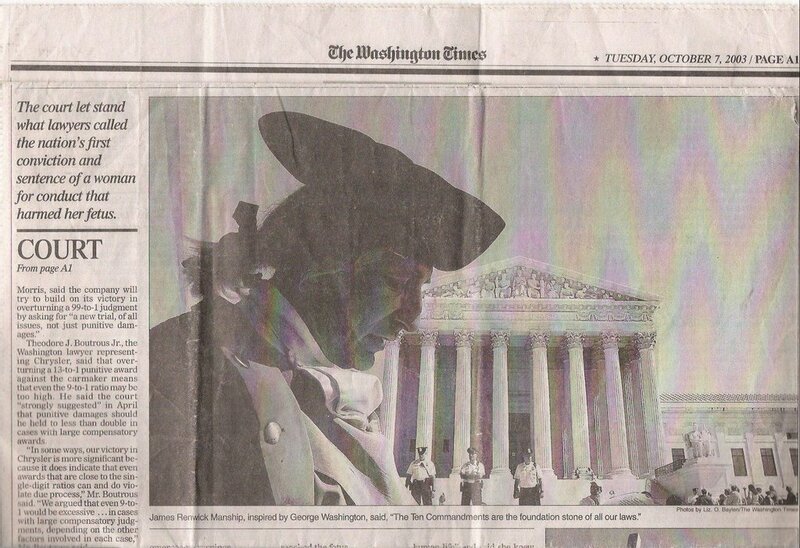 "Now is the time for all good men to come to the aid of their countrymen..."
While Chief Justice Roy Moore and "General Washington" did not meet in Washington on 7 October a.d. 2003, GW did come out to support the Principled Patriot before the less than supreme Court. 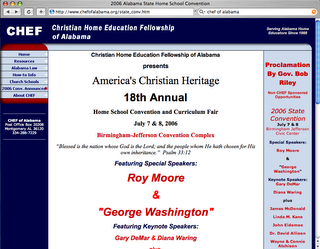 Thank you very much for coming to Alabama to inspire homeschooing families. I hope your speech in the afternoon was even more inspired by a well polished pair of boots. but you are welcome and use it any way you wish. May God bless your ministry and we hope to see you again. The professional shoe shiner seen here, in the tradition of the valuable aide to General Washington, Billy Lee, is Mr. Thigpen, whose father was a Navy veteran, and proudly told of his son who is an Army Captain in Iraq. The sign over Mr. Thigpen's shoulder, BJCC, is for the Birmingham - Jefferson Civic Center where you can go to meet him and get some polish in your life, adds spring to your step, and might even reflect the smile on your face! Maybe "We, the People" need to polish up our boots, and give the boot to some federal judges! 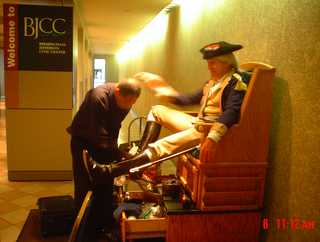 A modern aide to General Washington, "Major" James Renwick Manship, Sr., served as a shoe shine boy at at George Washington Quarter per pair of shoes, from which earned income he was able to pay for 5 weeks of Boy Scout Camp in Covington, Georgia, that allowed him to quickly earn Boy Scout Merit Badges and earn Eagle Scout while still age 13, and the God and Country Award at age 14, back in the last century, yeah, even in the last Millennium when even in two years of a.d. 1988 and 1989, three federal judges got the "Boot"! Was that ever "Boot - iful"? America the Beautiful, indeed!